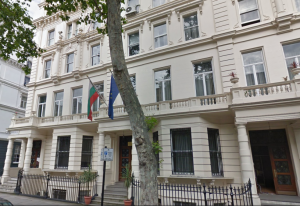 This blog post was provoked by my visit in the Bulgarian embassy in London today. An English fellow was standing in the queue in front of me waiting to certify some documents, clearly given to him by a Bulgarian solicitors firm (there was a letterhead document in his hands). These documents were prepared for registration of a new Bulgarian limited company. I was quite surprised when he asked the Bulgarian Consul to certify all documents he had. In fact for registration of a new sole owned limited liability company he needed only two documents to be certified, not the whole pack of 9-11 documents. The entrepreneur started his Bulgarian venture with £140 of paid consular fees, while he could ended up paying £26 for certifying only the two needed documents. All other documents such as company minutes, articles of association, management agreement etc. need only a simple signature and no certification so why he was ill-advised by his UK based Bulgarian solicitors to certify the full pack is quite strange to me. If you will be buying property on your name or on the name of an already registered Bulgarian limited company, the costs to certify the power of attorney and the needed couple of declarations will be slightly higher. The reason is that when giving powers about a property to a proxy, the required certification is not only the one of your signature, but also of the content of your statement in the documents. That makes it a double certification and a double consular fee accordingly. This principle is applicable even if you certify a document before a notary public in Bulgaria. Visit your local solicitor/notary public and ask them to certify the document. After the certification you need to legalise the document in the Foreign and Commonwealth Office. If you are taking the second option, you must be aware that it might be more expensive and time consuming than the first one. Solicitors’ rates may vary, but the apostille fee is fixed to £30 + postage costs. However if you are too far away from London, this might be your way to certify the documents. Can I swap my Bulgarian house for another one?